Shortly after I began investigating UFOs in the late 1980s, I started to receive reports of unidentified ocean-going craft. Most of these reports came from a certain stretch of California coastline, from about Santa Barbara south to Long Beach. This particular body of water, I soon learned, had a widespread reputation as a UFO hotspot. After several witnesses told me they believed there was an underwater UFO base there, I decided to conduct a more in-depth investigation to determine the truth. I had already uncovered several firsthand cases myself. My next step was to put together a comprehensive list of all the recorded ocean-going encounters in the area. I came up with more than 50 sightings. These cases were next categorized into different types. The first and most common type are cases that take place over the coastline. In these cases, people see UFOs either from the shoreline or while they are out at sea. What follows are several typical cases. 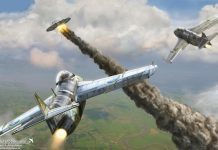 1953: Engineer Frederick Hehr and several others are on Santa Monica beach when they observe a “squadron of saucers” performing maneuvers in the daylight sky over the bay. Later that day, the objects return and perform more maneuvers for a period of about ten minutes. July 10, 1955: Around 11:00 a.m., several fishermen off the coast of Newport Beach observe a bluish-silver, cigar-shaped object flying overhead at a “moderate speed and medium altitude.” Two and a half hours later, a Washington family of three are sailing 13 miles off the coast of Newport Beach on their way to Catalina Island when they observe a “perfectly round, gray-white” craft about 2,500 feet above their boat. When the object maintains its position over their boat, they radio the Coast Guard, which sends out a plane. The object darts away before the plane arrives. November 6, 1957: Early morning in Playa Del Rey, three cars driving along the Pacific Coast Highway suddenly stall when a large “egg-shaped object” surrounded in a “blue haze” lands on the beach only a few yards away. Witnesses Richard Kehoe, Ronald Burke, and Joe Thomas exit their cars and observe two strange-looking men disembarking from the object. 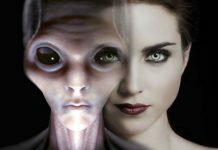 The UFO occupants have “yellowish-green skin” and wear “black leather pants, white belts and light colored jerseys.” They walk up to the witnesses and begin asking questions. Kehoe and the others are unable to understand the occupants, who are apparently speaking a foreign language. 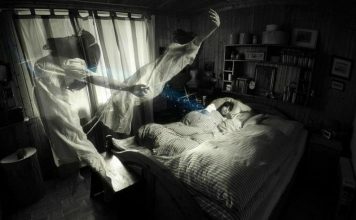 After a few moments, the figures return to the object, which takes off and accelerates out of sight. 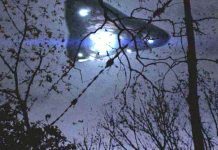 That same day at 3:50 p.m., an officer and 12 airmen from an Air Force detachment in nearby Long Beach observe six saucer-shaped objects zooming across the sky. Two hours later, officers at Los Alamitos Naval Air Station report seeing “numerous” objects criss-crossing the sky. At the same time, police stations in Long Beach receive more than 100 calls from residents reporting UFOs. December 1957: The crew of the British steamship Ramsey observes a large metallic gray disk with antenna-like projections off the coast of San Pedro. 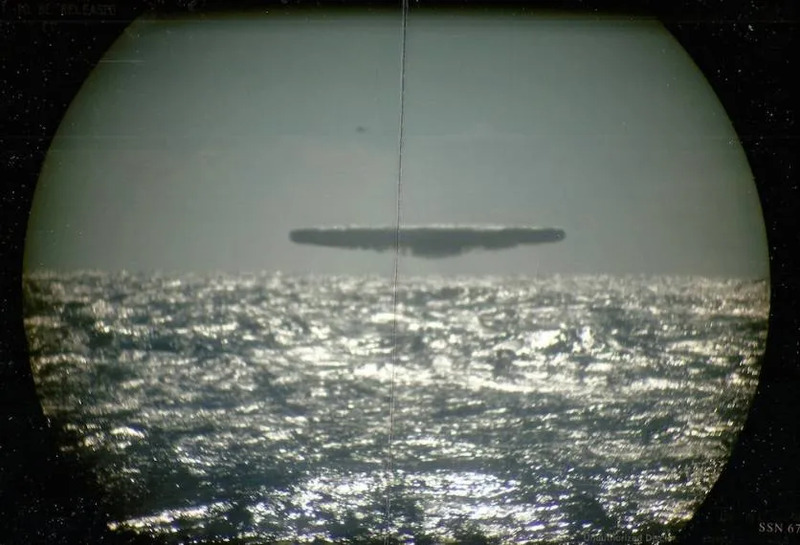 One of the crewmen grabs his camera and captures a blurry photo of the object before it moves away. 1960: Actor Chad Everett and two friends are on the rooftop of his Beverly Hills home one night when they observe a lighted object moving back and forth at high speeds over the nearby ocean. Because the object moves so quickly and at right angles, the witnesses are convinced it is a genuine UFO. 1970: As investigated by Bill Hamilton, an anonymous gentleman sailing from Catalina Island to San Pedro Harbor observes a metallic saucer with four “hemispherical pods” underneath it flying only a few hundred feet above his boat. May 1973: Art director George Gray (pseudonym) observes an object sending down a beam of light while driving along the Pacific Coast Highway in Santa Monica in the pre-dawn hours: “The UFO was over where the beach was…hovering I would say maybe a hundred, two hundred feet in the air. It was silver. It was your basic UFO…it was definitely completely metallic with a silver dome on top and a silver dome on the bottom of it, like two plates put together. 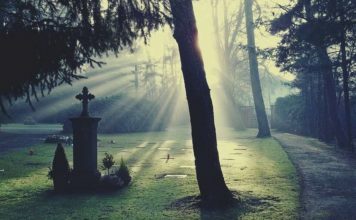 And it had little lights around it.” Gray is able to bring in additional witnesses before the object moves away. Summer 1990: Private pilot Toshi Inouye and his student observe a large, red, glowing cigar-shaped object hovering near their plane as they fly over the Santa Monica Bay in late afternoon. 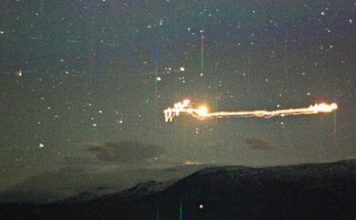 “It was standing still in the air, glowing red,” says Inouye. “We were kind of stunned. We didn’t know what to do.” Inouye considers calling the nearby airport control tower when the object suddenly darts away. May 4, 1990: Early in the morning, two Malibu surfers are lying on their surfboards waiting for the next wave when they observe a “brushed aluminum saucer with a bump in the middle [which] approached the shoreline from out of the fog bank sitting about a mile offshore.” The object darts back and forth then moves back out to sea. 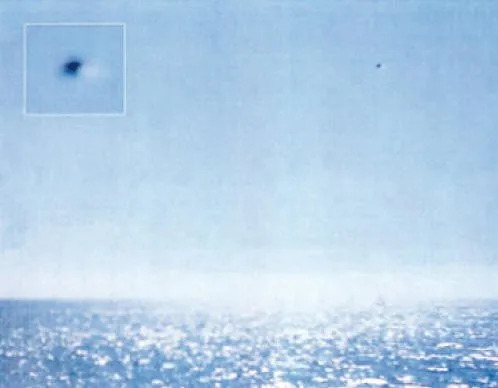 January 3, 2004: Young Chyren is standing along the Santa Monica coast at midday when he observes a metallic, saucer-shaped craft hovering only a few thousand feet directly above a small yacht less than a mile out at sea. He quickly grabs his camera and snaps a photograph. From the reports cited above, it should be clear that UFOs are witnessed over this coastal area in disproportionately large numbers. In most cases, they are observed a few thousand feet or less above the surface of the ocean. It is therefore plausible to speculate that these craft may be traveling into and out of this body of water. 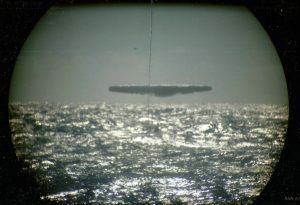 Saucer-shaped craft hovering off the coast of Santa Monica on January 3, 2004. As we shall see, the next category involves UFOs that have been observed doing exactly that. These much rarer cases provide further evidence of an underwater UFO base off the California coast. November 21, 1951: As reported by researcher Harold Wilkins, several witnesses observe “an unidentified burning object” descending into the ocean somewhere off the coast of California. 1955: Residents from the northern California coastal town of Santa Maria observe a “long silvery object” emerging from the ocean and taking off into space. January 15, 1956 (Evening): Residents of Redondo Beach report seeing a large, glowing object glide down out of the sky and float on the surface of the ocean about 75 yards off shore. Dozens of witnesses converge on the scene, including a local night watchman, Redondo Beach lifeguards, and police officers from adjacent Hermosa Beach. As the crowd gathers, the water around the object starts to “froth” and the UFO sinks beneath the surface. The glow of the object, however, remains so intense that it can still be seen. Police officers radio for assistance and divers are brought in to investigate. Unfortunately, by the time the divers arrive, the object is gone. Another police officer tests the area with a Geiger counter, which fails to register any radiation. Another search the next day also yields no results. Suddenly the submarine heads straight for the fishing boat as if to ram it. The captain makes an emergency turn as the sub moves past them at high speed, emitting no noise and leaving no wake except for a “good-sized swell.” The captain contacts the navy, which is unable to positively identify the sub. UFO researchers Coral and Jim Lorenzen hear about the case and speculate that it may have been a UFO and not a submarine: “The high speed, lack of wake and sound, and the huge swell make this object suspect.” One might also mention the odd shape of the submarine itself, its lack of fear of observation, and its aggressive maneuvering. December 2, 1965: Mrs. Irwin Cohen and her son observe a glowing red object descending into the sea off San Pedro, setting off a large cloud of steam. As the object descends, the witnesses snap a few photos. They wonder if they witnessed a Navy missile or some other unknown object. October 1968: George Hiner is fishing in his boat off the eastern end of Catalina Island when he spots a “white-domed shaped object” (sic) through his binoculars. As he watches, the object rises ten feet above the surface of the water, then descends and rises again. He notices a strange parachute-like device beneath the object, which gently descends and then sinks beneath the waves. Spring 1991: In the early morning hours, Tony X. looks out the window of his Malibu beachfront home and observes a brilliantly lit object floating on the ocean’s surface about two miles away. “It looked like a big prism,” says Tony, “kind of various colors out there. I got a telescope out there and looked at it.” After a few hours, the light winks out. Two years later, in January 1993, the object returns. “I got the telescope out and looked at it, and it was the same kind of thing…the colors seemed so pure for lack of a better word. They seemed real coherent.” Tony calls up the Coast Guard, but they deny having any information. 1994: Two men walking near the coast of Rancho Palos Verdes at night see several “glowing disks” floating in the water. One of the witnesses returns at a later date and sees the disks again. On this occasion, he observes several black helicopters in the area. Later, he is confronted by unnamed individuals (men in black?) who tell him in no uncertain terms that this area, off Abalone Cove, is off-limits. 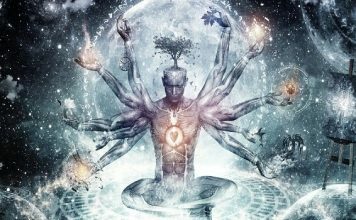 January 11, 2002: An anonymous gentleman camping along the coast at Point Mugu sees a light moving back and forth 100 feet above the water, and two other lights beneath the surface of the sea. The objects dart back and forth in tandem for 30 minutes (moving unlike any plane or helicopter), giving the witness the impression that they are searching for something. Afterwards, the light in the sky accelerates out of sight and the two objects in the water dive down and disappear. So much underwater UFO activity in one place is undeniably unusual and strongly points to the possibility that there is an underwater UFO base somewhere in this area. While the above reports alone provide considerable evidence, further confirmation of this possibility comes from another source. 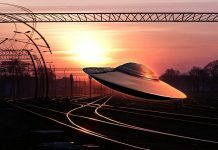 Not only is there an unusually large number of sightings, landings, and ocean-going UFOs here, there are also cases of abductions. Normally, when somebody reports being abducted by aliens, they claim to have been taken inside a UFO. However, in this particular area, some abductees report that they have been taken to what is apparently an underground base. Could it be that these witnesses were taken into the underwater base in the Santa Catalina channel? Following the examination, the boys are returned to the boat with no conscious memory of the abduction. Early 1990s: As recounted in her autobiographical book Beyond My Wildest Dreams, Kim Carlsberg experiences a series of UFO abductions from her Malibu home starting in the early 1990s. On each occasion she is examined by Grey or praying-mantis-type ETs. A final piece of evidence for an underwater or underground base comes from the Topanga Canyon UFO wave of 1992 though ’94. That certain spot is the same location where so many underwater UFOs have been seen. And what makes this particular sighting so important is that the objects were not seen coming from above. Instead, these 200 craft came from below, either underground or underwater. Where else could so many UFOs come from except for some kind of base? As can be seen, the evidence is pretty strong that there is an underwater UFO base in the Santa Catalina channel. Hundreds of UFOs have been seen in the area. A significant portion of these cases involve objects going into and out of the water. And there are cases where people have apparently been taken inside this very base. It’s hard to say exactly where this base is, but judging from the geographic distribution of encounters, the highest density of cases is along the Santa Catalina channel. It would have to be very deep to avoid detection. The size of the base is again a matter of speculation, but because of the large number of UFOs that have been seen at one time and from the reports of the abductees, it seems safe to assume that this base is extremely large, perhaps the size of several city blocks or more. How long has this base been here? The modern age of UFOs began in 1947, when a huge wave of sightings swept across the United States and the world. This was the year of the famous Kenneth Arnold sighting and the alleged UFO crash at Roswell. 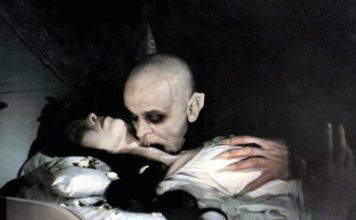 That year also featured a strange mystery off the California coast. 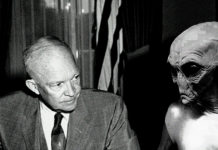 It began on July 7, 1947, just days after the Roswell crash. At 3:10 p.m., two teen­agers walking along the beach at San Raphael watched as a “flat, glistening object” emerged from the ocean, flew for a short distance, then dove back into the water 400 yards from shore. One month later, in August 1947, the Coast Guard received reports of a “strange flaming object,” which fell into the sea. Following this incident, steamers going into and out of San Francisco Bay encountered an “undersea mountain” that appeared and disappeared in various locations in the bay. Several ships reported the mysterious mass, calling it a “reef” or “submarine mountain” that had apparently appeared overnight. Another ship reported “a large mass under water, off the Golden Gate.” Following that, the mass disappeared. The “mass” however, had gone. Or perhaps it had moved and found a more permanent residence closer to shore. Considering the huge number of underwater reports that started in the 1950s, this may have been the time when the alleged base was constructed. In any case, underwater UFOs have been encountered in this area starting in 1947 and continuing to the present day. While it may seem hard to believe that ETs are living beneath our oceans, these types of accounts have turned up all over the world. Ocean-going UFOs have been seen in all of the seven seas, reaching back nearly a thousand years and continuing to the present day. With their ability to travel through the oceans and skies with ease, these cases show just how advanced the visitors are. Remember, most of our oceans remain unexplored—at least by humans. 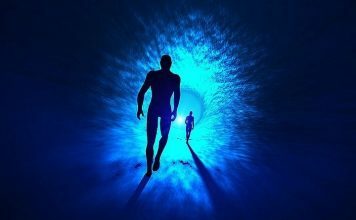 Learning to Astral Project: Is It Safe?